I adapted this piece from a jewelry piece by John Pacheco. 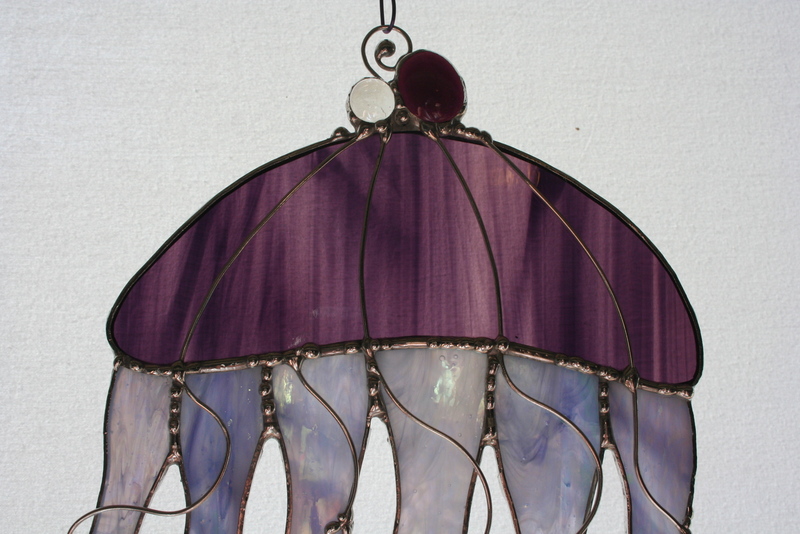 I need a quickie pattern for a suncatcher. Now that I have worked it, I have some ideas and am looking forward to modifying it and playing with it. this is one of those pieces that doesn’t photograph all that well. 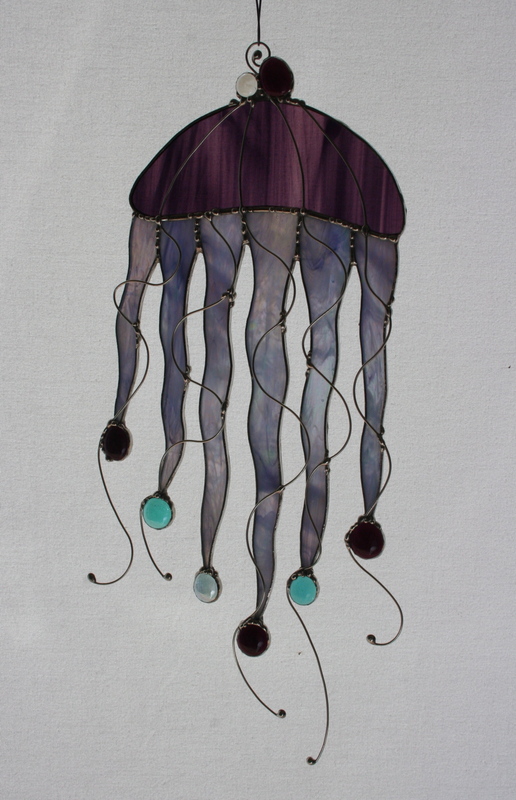 the jellyfish “legs” are a lovely iridescent glass, pale lavendar with bits of blue and green. 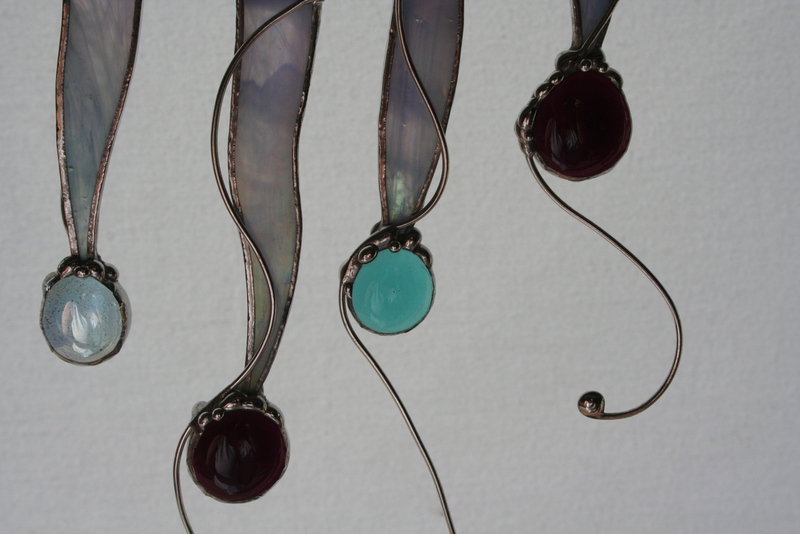 the glass gems are purple, pale green and soft blue.